Great Cocktail Recipes: The Tropical Storm Cocktail in the works! 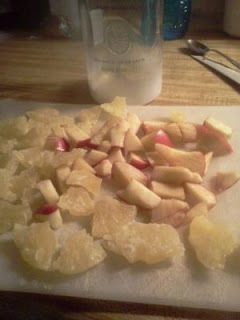 As you can see, I cut up the fruits. I decided to go with the sweet and subtle to complement the drink. I had one nice sized apple and cut it up into little chunks. After that was said and done, I had some dried pineapple slices left over, so I cut those up in bitty pieces, and it def made a nice little base of fruits. 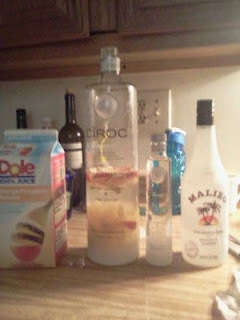 When that was done, I decided to pour in my first layer of Ciroc. I headed to the liquor store right quick while that soaked up for a while, and as you can see I bought a few things. 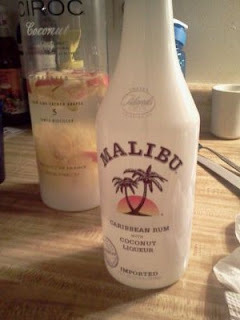 What I first I decided to do was pour in a half liter of Malibu Rum to kind of get the main flavors of the fruit together with a nice light rum. As you can see, Vodka and Rum is already making for a stronger base for the rum. 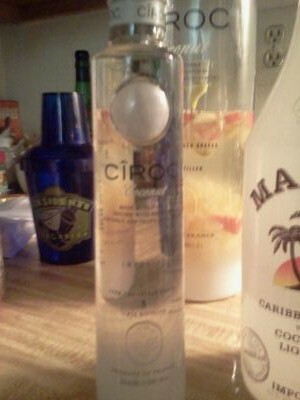 Seeing as I didn't want to overkill the drink with vodka, I got a 200ML bottle of Ciroc Coconut. 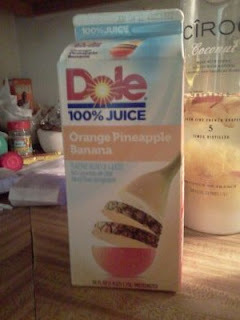 It def adds a kick to the drink, but it goes with the general flavor! After the 1.75L bottle I used was at least up to a 1 liter and change filled up with alcohol, I poured in the Pineapple Juice for the topper. I think what I'm going to do on the day of Tigerfest is kick it up a notch! It's a pretty good drink, but I want it to be a bit more potent yet not overkill! Two shots of Everclear should do it! Then I'ma shake it up! There we go! The Tropical Storm Cocktail! I can already tell with the fruits marinating in the Regular Ciroc, Malibu Coconut Rum, and the Ciroc Coconut, it will make for a strong but very tasty and deceiving drink!